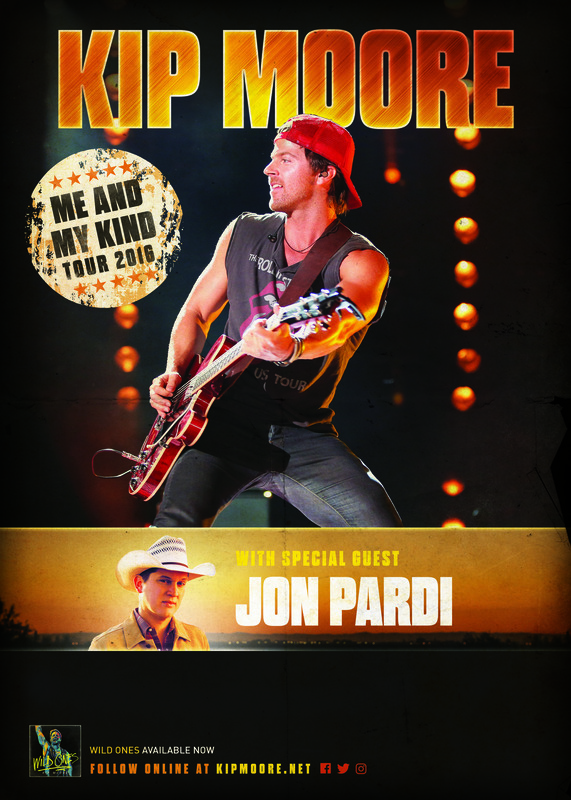 Kip Moore revealed dates for his headlining ME AND MY KIND TOUR today, kicking off on 9/30 in Oklahoma City, OK. A constant road warrior that continues to be "met with more deafening applause” (CMT), the tour will see Moore visit cities across the US and Canada through early December and includes red-hot newcomer Jon Pardi. Fans can watch Moore and Pardi gearing up for the tour with some role-reversal antics here. With no signs of slowing down on the road, it was also announced last week that Moore will headline Nashville’s Ascend Amphitheater for The Big 98’s annual Guitar-B-Que on Aug. 10, a live concert and guitar auction to raise fundsfor St. Jude Children’s Research Hospital. For a full list of tour dates and more information visit kipmoore.net. Philly will be my 3rd time meeting Kip, and my 5th time seeing him live; can't get enough of his awesome voice and kind personality! where do you enter for the M&G contest? We need you to come back to Cleveland Ohio!!! You it on the best show ever!!! I have my tix for Orange Beach now I'm waiting on tix to go on sale for Birmingham. What I love about seeing Kip in concert is you never hear the same show twice. Each show is unique and you never know what he will play. They have never let me down... always a great time! Please come back to Jacksonville Fl!